Available works in this gallery can be purchased direct from the artist unless otherwise stated. Please feel free to contact me to purchase an original, a giclee print or commission a unique work. Individual prices are available on request. Prices range from £100 – £500 for originals and from £20 – £50 for giclee prints. Copyright of all the works in this gallery is owned by the artist. Images may not be published or reproduced in any way without the express permission of the artist. Lightbulb Factory (2014) Oil & pencil on paper collage. District I – Pencil on paper collage. Facade – Oil & pencil on paper collage. Private Collection. Shed – Oil & pencil on paper collage. Private Collection. 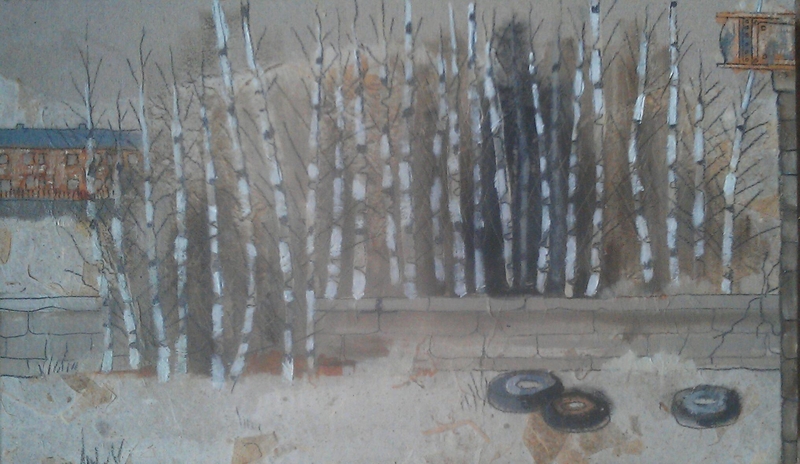 Fence – Oil & pencil on paper and plywood. 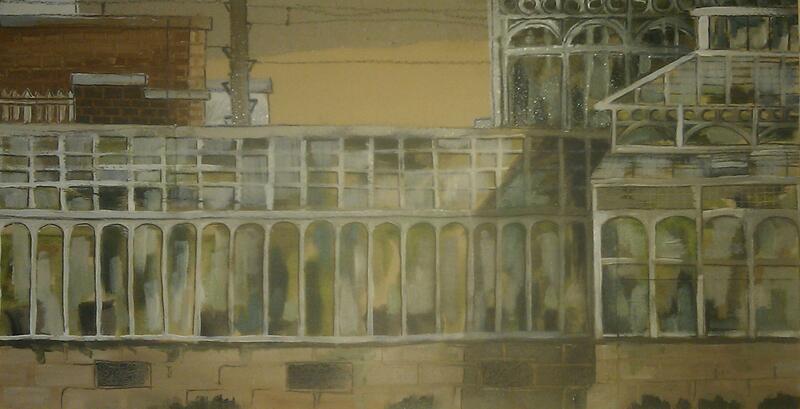 Glasshouse – Oil & pencil on paper collage. Private Collection. Lane – Oil & pencil on paper collage. 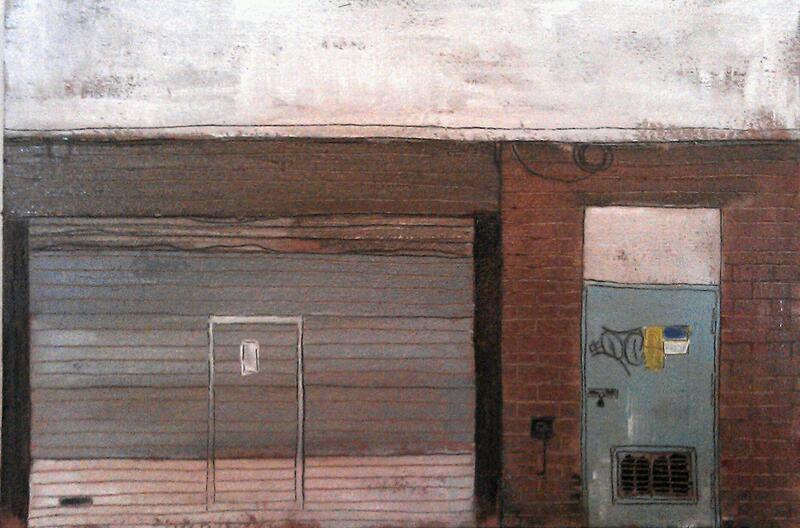 Loading Bay – Oil & pencil on paper collage. Lock-up – Oil & pencil on greyboard. 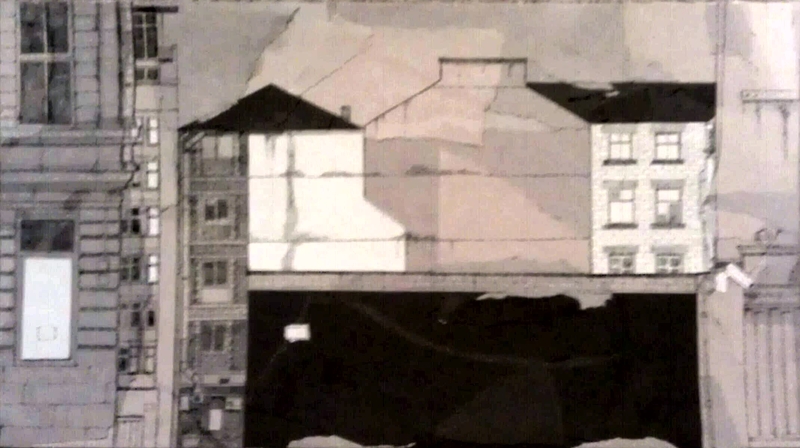 Station Platform – Oil & pencil on handmade paper collage. Private Collection. Units – Oil & pencil on paper collage. Hospital – Oil & pencil on paper collage. Private Collection. Bandstand – Oil & pencil on paper collage. Void II : Demolition – Oil & pencil on paper collage. Winner of RGI Armour Award. Private Collection. Shed – Oil& pencil on paper collage. Private Collection. 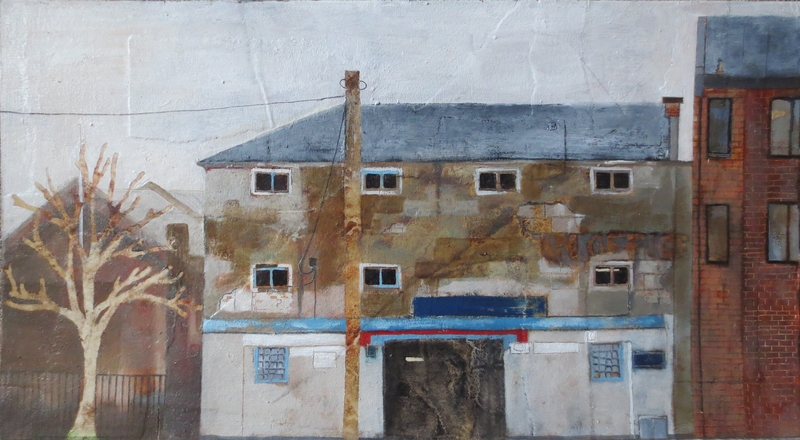 Petrol Station – Oil & pencil on paper collage. Private Collection. Construction – Oil & pencil on paper collage. Void I : Department Store – Oil & pencil on paper collage. Winner of RGI Armour Award 2013.